If you’ve been following our dispensary marketing blog, we hope you’ve been able to take a comprehensive approach to running content and inbound marketing campaigns for your dispensary or other cannabis brand. Namely, we hope that you’re actively creating and promoting quality content, connecting with your audience through social media, and fine tuning your website and optimizing all of your pages for SEO. If this is the case, your blog posts are just one small piece of your content strategy pie. While small, your content is key. Cranking them out for the sole purpose of putting more out there could actually be damaging your readability and engagement. With that in mind, here is the formula for the perfect blog post. These are the characteristics found in quality blogs that have been proven to increase your readership and post engagement. Without these key components, you might miss out on the more important aspects of blogging, like brand awareness and all the benefits that go along with that. Start with an enticing image. Images improve readability since they tend to break up long walls of text in blog posts, so including more than one is a good idea but not always necessary if your content is short or if you’re using headings and bullet points to break up text. Every blog post absolutely MUST have a featured image, though. The featured image is usually the thumbnail for your post as well as the main attraction at the top of the post page. It’s purpose is to either amuse or intrigue the reader. You can use whatever imagery you like, as long as it’s consistent and utilizes your branding. Keep in mind though that imagery containing the marijuana plant or flower is grounds to get your page banned from social media sites, so if you’re sharing content to social (like you’re supposed to) you’ll want to avoid marijuana imagery. Choose a short, but sweet headline or title. In today’s world where we are advertised to thousands of times a day, many tend to have a short attention span. If you’re scrolling your social feed and something looks boring, you’re just going to scroll past it without even acknowledging it. That being said, you have 2-4 seconds to grab the attention of your readers, or they’re already looking at bigger and better things. Keep your titles short and sweet, but compelling. Use lots of colorful adjectives and strong verbs, but keep it below 14 words. Short and simple is better than long and boring. Add a captivating, but short introduction paragraph. An introduction paragraph is designed to hook the reader by explaining what your post will be about, and why it will be useful or interesting for them. If your reader can’t figure out what your post is about, they’ll find something else that will solve their problem. Make sure your introduction is clear and concise and explains what your post is about. The intro is also a great place to use your voice as a writer. Use this to get your readers excited about your company and the content they’re about to read. Your body copy can be as long or as short as you want it to be. Industry research has shown that there really is no ideal length for a blog. Some subjects, like tutorials for example, will require more words than your dispensary’s origin story would take. The way we look at it, good content is good content, no matter the length. If you’re good at scholarly 2000+ word CBD articles, great! Put them out there along with your 350 word piece about cannabis recipes. Putting content out with varying lengths attracts readers interested in long reads AND short reads, which makes it an appealing mix that can attract a larger audience. Showcase data. Lots of people (myself included) really like looking at facts and figures, but they need to be broken down so they’re quick and easy to digest. Data is compelling! Every chance you get to throw a statistic into a post, do it. They stick out to people and make your content more memorable. Adding a word count to all of your posts is helpful, but it’s also a good idea to include statistics in your content on occasion. If you ever have to use figures, Make sure it stands out and links to the studies and figures you’re referring to. Format and Reformat as needed. Sometimes, it just isn’t practical to read a 3000 word page of text on someone’s website. It doesn’t matter how good that content is, if people don’t think they’ll be able to get through it and make sense of it, they won’t read it. That’s why formatting is such an important part of blogging. You should take great care to keep your text from looking like a wall. Break that content up with some enticing (and relevant) images or videos. Make sure you’re using interesting headings and subheadings, and bullet points whenever possible. Edit your meta description. A meta description is the little blurb of content that search engines display in search results that can give your potential readers an idea of what your post is about and if it will help them. Your meta description should be short; not much more than 150 characters. Like the title of the post, your meta description needs to be a short, but attractive teaser that makes the reader want to click the link and read the post. The cannabis marketing professionals at Team MaryJane help our cannabis clients all over the country develop strong, effective content marketing strategies and optimize all aspects of their marketing, including fine tuning content, providing input on social media campaigns, and even creating content. 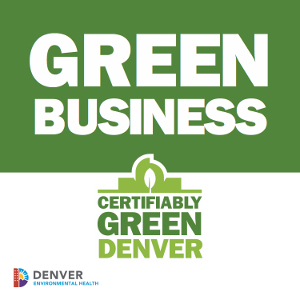 As one of the top dispensary marketing firms in Denver, we know we’ve got the tools to help you achieve all of your objectives. Get in touch with us today for a FREE no risk consultation.